IWASSA Co.: LG brings top of the line G3, new tablets Pad G and G to Watch Brazil. LG brings top of the line G3, new tablets Pad G and G to Watch Brazil. 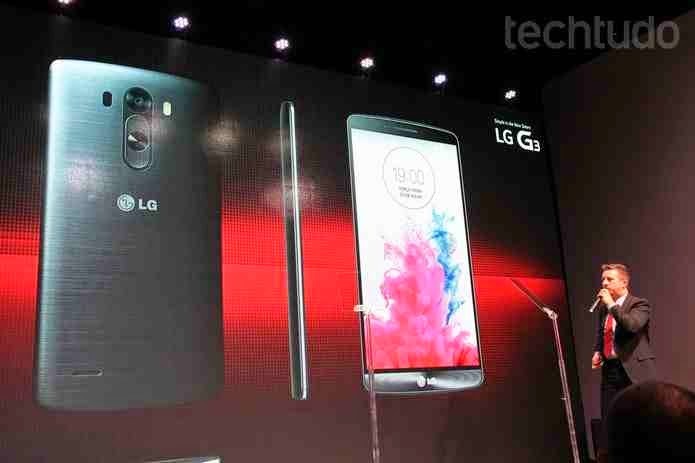 The LG G3 is the newest top of the line in Brazilian shelves. LG has announced today (22), in São Paulo, the arrival of the smartphone in brazilian lands. The handset arrives for AU $ 2299 and has featured as a quad HD screen of 5.5 inch (1440 x 2560 pixels), with four times the resolution of a common HD screen, and the performance of respect. 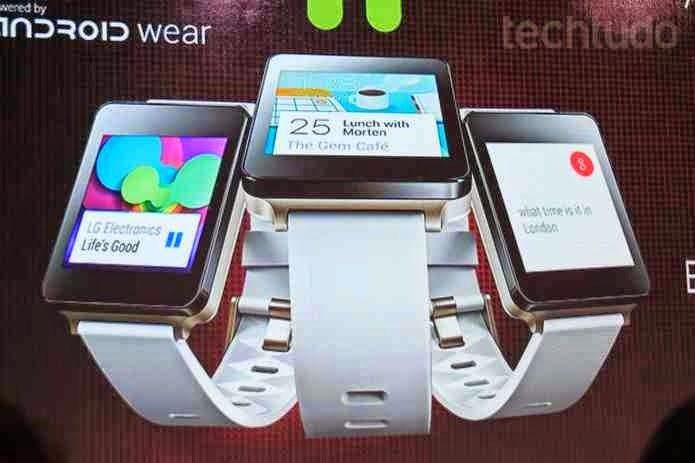 In addition to the G3, LG introduced a new line of tablets G Pad and awaited G Watch, smart watch that runs Android Wear. The device has the specs Qualcomm Snapdragon 801, a quad-core 2.5 GHz processor and 2 GB of RAM. Besides them, the smartphone has 16 GB of internal storage, expandable up to 128 GB via microSD card. None of them, however, as was explored by LG as the screen. 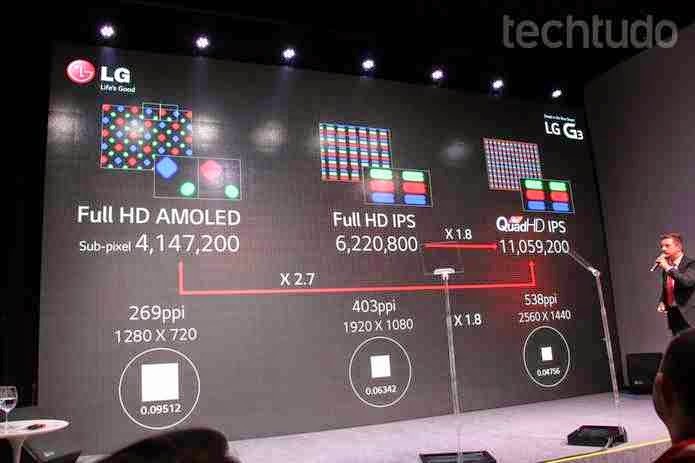 "In quad HD screen, you do not see pixels, points not see You see the real picture," detailed the product specialist in the area of mobile LG Brazil, Marcel Inhauser. Regarding design, LG has chosen to follow the trend presented above on your LG G2. This means that the appliance, like his predecessor, has no physical buttons on the front or the sides. The only three (two volume control and a locking and unlocking the screen) are on the back, just below the camera. The body of the handset continues with plastic finish, with a look that "mimics" brushed metal. The LG G3 comes running the latest version (at least officially) Android, the KitKat with customizing the manufacturer. Among the extras are offered by LG Smart Tips resources, which work in a similar way to Google Now, and the LG Health, fitness package. The modified Android interface is very clean, with icons "flat". The G3 camera also promises top performance. The rear has a 13 megapixel sensor and is accompanied by dual LED flash in two colors, as in the iPhone 5S. The extra is for the laser to autofocus, which promises to reduce focus time for Amazing 0.276 seconds. The front camera at 2.1 megapixels, and is suitable for video calls and occasional selfies. By such R $ 2,299, the buyer takes the G3 in the package a dock for wireless charging. It is a considerable advantage ahead of the competition, which charge similar prices for their line of tops. The exception may be due to the Sony Xperia with your Z2, which the Brazilian kit is accompanied by SmartBand. 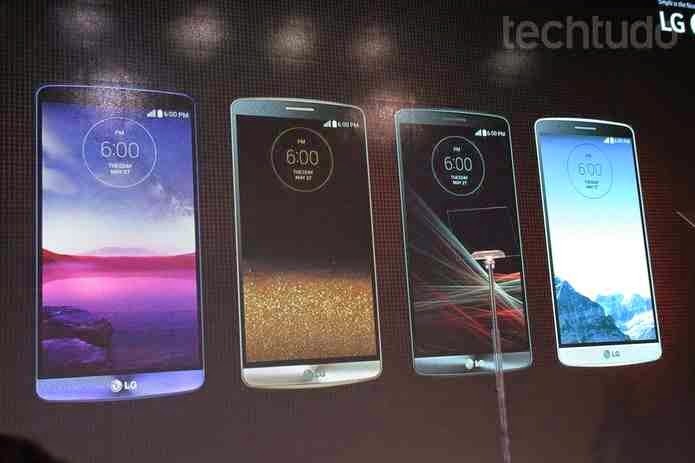 The LG G3 comes with a choice of black, white, golden and purple colors. For G Pad, LG has devoted little time. There are, however, significant changes, starting with the design. The new tablets have colorful plastic back, and three screen sizes: 7 inches, inches or 10.1 inches. All run Android 4.4 and KitKat have highlighted the quad-core processors, also Qualcomm, and the IPS screen. OG Watch, meanwhile, still has no precise date to hit stores, but the LG talks about "second half of August." In any case, the Smart Watch Company comes running Android and Wear with two color options, white and black. The units are resistant to water and dust, and landed at a price of £ 699.